The CAMLOG group looks to the future with great confidence and optimism due to impressive clinical results. Since the successful launch of the CAMLOG Implant System in September 1999, CAMLOG has achieved strong market position, has consistently expanded its product portfolio and reinforced its competitive standing. 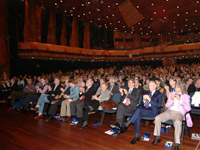 The congress took place from 9 – 11 June in Krakow under the motto “Tackling everyday challenges”. Over 1,300 delegates from all over the world and 76 internationally renowned speakers and moderators were more than impressed by this exceptional event. The congress unified successful research and practice and addressed tissue stability, treatment planning and Digital Dentistry as key topics. The 5th International CAMLOG Congress was held under the motto “The Ever Evolving World of Implant Dentistry”, in Valencia. The Ciudad des las Artes y de las Ciencias offered the perfect location for the congress. Over 1`300 delegates from all over the world and 66 internationally renowned speakers and moderators had travelled to this exceptional event which took place in the Palau de les Arts – a real architectual highlight. 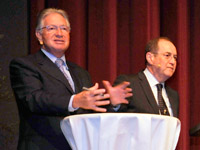 For more information on the International CAMLOG Congress visit our website www.camlogcongress.com. By introducing the new DEDICAM brand, CAMLOG gains access to the increasingly important CAD/CAM market. 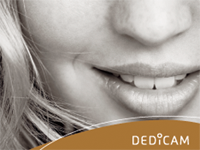 As Ivoclar Vivadent AG’s “Authorized Milling Partner”, CAMLOG now is not only the manufacturer of successful implant systems, but has also become a supplier of first-class customized prosthetic restorations. 2nd Swiss Dental Technology Congress, Lucerne/Switzerland, under the auspices of CAMLOG Schweiz AG. According to the motto “team@work.2020”, current complex issues are presented and discussed from different perspectives. “Tradition and progress” – the Swiss Museum of Transport in Lucerne/Switzerland is the perfect setting. 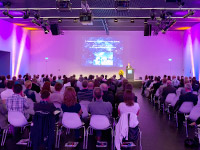 “Feel the pulse of science in the heart of Switzerland” – 4th International CAMLOG Congress in Lucerne/Switzerland. More than 1,300 participants represent a new record, underscoring CAMLOG’s place among international leaders in implant dentistry. “From science to innovations and clinical advances” – successful 3rd International CAMLOG Congress with more than 1,200 participants under the direction of Prof Wilfried Wagner in Stuttgart/Germany. CAMLOG announces that the group is among the world’s leading companies in scientific documentation. SCREW-LINE implants have written a success story with their efficiency and safety. Further improvements are presented at the IDS: higher implant shoulder and rounding of the apical geometry. The square cam/groove geometry increases stability and transfer precision. 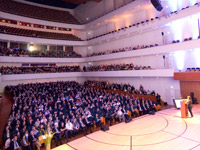 May 9th and 10th: 2nd International CAMLOG Congress, Basel/Switzerland, 800 attendees, introduction of the CAMLOG Foundation Research Prize. 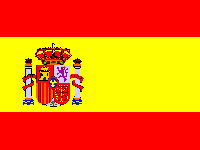 With establishment of the Spanish subsidiary CAMLOG Med SA in Madrid, CAMLOG Biotechnologies AG reinforces its presence on the Iberian Peninsula. 1st International CAMLOG Congress in Montreux/Switzerland: Presentation of the compelling long-term results of the CAMLOG® Implant System. Establishment of the CAMLOG Foundation “to create and disseminate new knowledge and to encourage young scientists.” End of the year, founding of CAMLOG Schweiz AG, Basel/Switzerland. 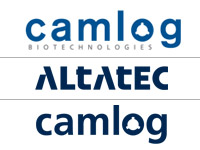 Establishment of CAMLOG Biotechnologies GmbH, Basilea, Switzerland. Biotechnologies AG, Basel: strategic management, further internationalization of the CAMLOG group. 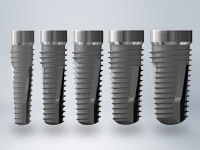 The SCREW-LINE is launched in five implant diameters and four lengths: Tube-in-TubeTM connection with special cams for unique abutment positioning, maximum application safety and reliable long-term stability. 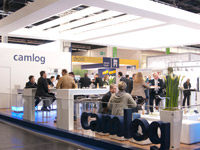 SCREW-LINE becomes CAMLOG’s most successful implant line. The CAMLOG brand is introduced at the end of the year. 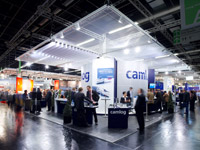 Products manufactured by Altatec GmbH have since carried the name of CAMLOG. CYLINDER-LINE and SCREW-CYLINDER-LINE products are first brought to market. Dr Axel Kirsch assumes ownership of EBERLE Medizintechnik GmbH after years of successful cooperation. 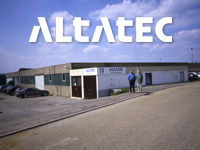 The company carries the name Altatec Medizintechnik GmbH & Co. KG since 1995. “ALTATEC” is an invented word composed of the Latin words “altus” (high) and “tec” (technology). EBERLE Medizintechnik GmbH is founded. 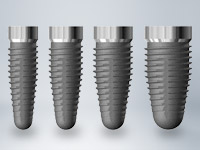 The company manufactures dental implants developed by Dr Axel Kirsch, the internationally recognized dentist and oral surgeon in Filderstadt/Germany.